The outer membranes of human cells act as a gateway allowing raw materials in, and processed materials out. This outer membrane requires a constant turnover of PUFA’s (polyunsaturated fatty acids) to remain functional. Omega 3s is an essential part of this replenishment. A shortage of Omega 3 reduces the ability of cells to efficiently perform their function, leading to nutrient starvation and chronic illnesses. Omega 3 is also converted into another class of chemical called eicosanoids, (a specific chemical/hormone group which are essential regular healthy functioning) the most critical of which are prostaglandins. 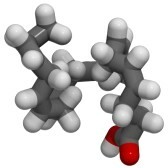 Prostaglandins are important for the regulation of inflammation, pain, swelling, blood pressure, heart function, gastrointestinal function and secretions, kidney function and fluid balance, blood clotting and platelet aggregation, allergic response, nerve transmission, steroid production and hormone synthesis. If the diet is inadequate, the Omega 3 prostaglandins produced are either lacking or unbalanced, leading to dysfunction of these vital bodily activities. There are thousands of articles written about Omega 3 fatty acid. Most of these are based on fish oil research alone and there fore only mention the benefits of DHA and EPA. There are however far fewer articles which discuss the medicinal benefits of all three PUFA’s – DHA, EPA and DPA.